CocoNET is a Sydney based, Australian owned and operated company, founded in 1996. Our aim is to provide internet solutions that achieve measurable results. We are proud that our cost effective solutions help our customers increase sales and reduce operating costs. We focus on providing attentive client service. 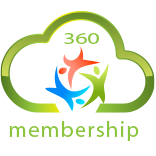 Our 360 cloud product range has been developed in response to client requests. We listen to our clients' requirements, prepare detailed specifications and deliver every project on time and within budget. We aim to establish long term partnerships with our customers. Industries we have worked in include: finanical services, FMCG, retail, childcare services, IT services, professional services, engineering, medical and non-profit organisations. Our team of professionals have many years of experience in the Information Technology industry, in particular, web-based application development, project management and integration. We have a long history in successful project management. From the very beginnings of an engagement we provide a project manager allowing a single point of contact for project related issues. The Project Manager is involved in all requirements definition at project start up and carries all routine responsibilities, thus ensuring project completion on time and budget. We provide hosted services for many clients. Data centres are located in Sydney and Perth. Our facilities are protected by resilient power and cooling systems, state-of-the-art security, fire protection and N+1 provisioning on critical services. We maintain 24x7 operational control across each facility to ensure it's managed, monitored and maintained.